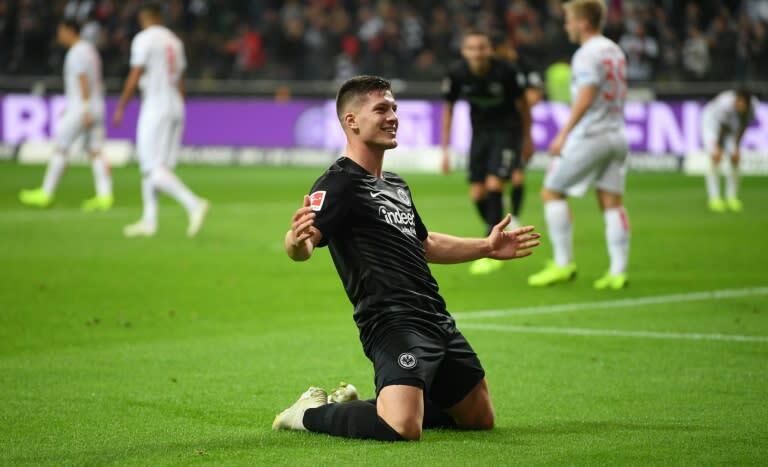 Luka Jovic has been hailed as a "potential world-class striker" after the 20-year-old's five goals in Eintracht Frankfurt's 7-1 drubbing of Fortuna Dusseldorf. "You always have to be careful with superlatives, but for me, he has the potential to become a world-class striker," enthused Frankfurt coach Adi Huetter. He was taken off on 86 minutes, but Jovic later admitted he was unaware he had been just one short of matching Dieter Mueller's record of six goals in a single German league game. "It was not a priority for me, the only thing that counted for me was the team's victory," said Jovic, who also scored five in a youth team game as a 12-year-old. "I have always shot from anywhere on goal, it just paid off today," he added. Jovic, on loan from Benfica, only got his chance after Frankfurt's first-choice striker Ante Rebic was injured at the start of the season. "He has a good movement, anticipation and technique, he is the complete player," ex-Germany midfielder Sammer told Eurosport. Jovic thanked both Huetter "for the space he gives me" and also the Austrian's predecessor Niko Kovac, who left at the end of last season to take charge of Bayern Munich. "He really helped me to develop as both a player and a person," Jovic said of current Bayern boss Kovac. "It was because of him that I persevered and developed into an absolute professional."